After a long month and a half, there are only a few more days left with our daughter’s school summer holiday. Today, her school opened up prior to the new semester for so called ‘Summer Day’ service. Basically, they start the day an hour later than usual, so that the kids (& parents) could gradually adjust themselves back to their normal school routine, including their favorite lunch time. 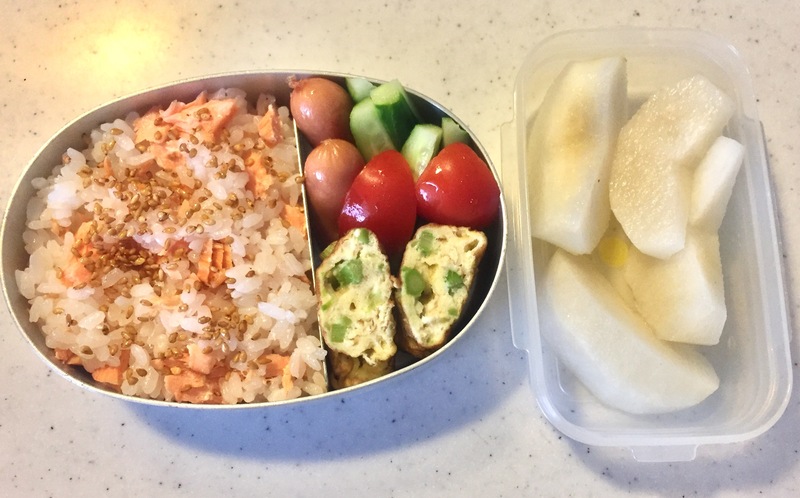 As such, my bento making routine started a few days earlier as well.